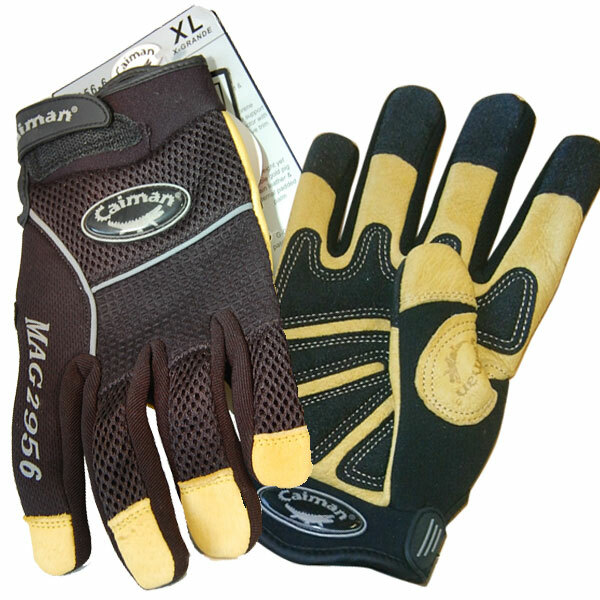 Caiman Mag 2956 Leather Gloves. Lightweight yet durable gold pig grain leather and internal padding. PVC palm and fingertip patches.